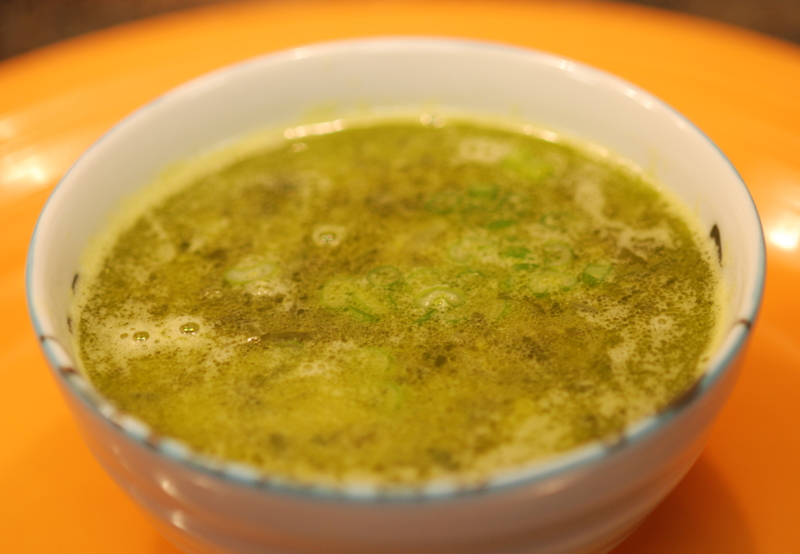 Spring is all about the color green and this soup is super green! You will love the sweetness of the liquid hitting your mouth as a calming feeling comes over you. Dice the cloves of garlic. Dice the onion. It does not have to be diced into small pieces since you will be blending the soup later. Place a soup pot over medium heat. When the bottom of the pot is warm, add the oil followed by the garlic. Stir so the garlic is coated with oil. Let sauté for 1 minute. Add the onion and stir so the onion is coated with oil. Let sauté for 2 or 3 minutes. Add black pepper to taste. Layer the kale followed by the peas and then fill pot with water covering the peas (feel free to adjust the amount of water – less will make a thicker soup). Bring to a boil and simmer for 15 minutes. Using a hand blender, blend the soup mixture. Feel free to leave a few kale leaves intact. Garnish with scallions, parsley, or fresh oregano leaves.